Months after the Fukushima nuclear disaster in Japan, the debate surrounding nuclear energy in Taiwan continues unabated. 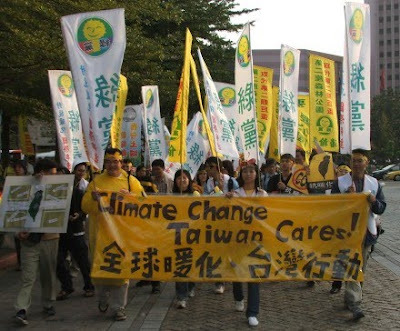 In June, several Taiwanese environmental groups held protests over Taiwan's nuclear energy policy and the construction of Taiwan's beleaguered fourth nuclear plant. Former Vice President Annette Lu criticized President Ma for refusing to shift policy towards a nuclear-free Taiwan. After meeting with Lu and several other academics, Premier Wu Den-Yih expressed his desire to gradually replace Taiwan's nuclear power with green energy. However, Wu's statement included the caveat that phasing out nuclear power would not take precedence over Taiwan's economic growth, electricity pricing stability, or CO2 emissions goals. Recently returned from a visit to Germany, DPP 2012 presidential candidate Tsai Ying-wen reaffirmed her support for her proposed "non-nuclear homeland policy." Tsai expressed a desire to learn from Germany's efforts to eliminate its nuclear power generation by 2022. In regards to Tsai's policy, The China Post called for better transparency and information on the costs, both economic and environmental, associated with a non-nuclear Taiwan. At Taiwan Green Study, fellow Fulbright Scholar John D'Angola asks where will the alternative energy sources to replace nuclear come from? On July 4th, Bureau of Energy Director General Jerry Ou announced that Taiwan's green energy economic output will exceed NT $1 trillion by 2015. This represents a tripling of Taiwan's NT $380 billion output in 2010. Taiwan's green energy sector is expected to draw NT $200 billion in private investment and create 110,000 jobs over the next four years. The Bureau of Energy's report also noted that Taiwan produced 3 GW of solar pv in 2010, surpassing Japan and reaching second place world-wide. Taiwan also claimed the world's top-spot in LED component production and is fifth overall in the installation of solar water heaters. The Taipei Metro was recently cited as an example of urban rail transit's ability to reduce air pollution. Previously, researchers were unconvinced that mass transit systems improved air quality, as gains made by reduced automobile use could potentially be erased by larger numbers of overall commuters. A recent study conducted by researchers at UC Merced found that Taipei's MRT led to significant reductions in carbon monoxide and nitrogen oxide levels. At a recent meeting in Germany, Kaohsiung signed onto to ICLEI's Local Action for Biodiversity (LAB). LAB seeks to improve local ecosystems and support sustainable development and its membership includes several international metropolises such as Amsterdam, Barcelona, and Mexico City. Taiwan's publishers are increasingly turning to "stone paper" to improve environmental standards. Unlike conventional paper, stone paper is composed of roughly 2/3 powdered stone with the remaining material coming from recycled plastics. Stone paper requires less intensive chemical treatment, halving its energy requirements during production and reducing costs. In addition to saving trees, the paper is extremely durable, water-proof, and decomposes naturally. Environmental activists in Taipei protested the EPA's decision to approve construction of a Taipei-Danshui freeway along the Danshui river's north bank. The protestors oppose the project on the grounds that it will destroy important wetlands along the river bank and is less effective than other solutions to traffic congestion (such as increasing the number of MRT trains). In June, the EPA announced that it will provide Taiwan's 22 local governments with guidelines to conduct city and county carbon inventories. Several of Taiwan's cities have already initiated CO2 reduction measures and the EPA believes city-scale CO2 policies can simultaneously drive local action and international cooperation. Taiwan Today also reported on amendments to Taiwan's Commodity and Vehicle License taxes that will incentivize low-carbon transportation. Taiwan has emerged as a major culprit in the international crusade against shark fin soup. An animal welfare group reported that Taiwan kills 3.86 million sharks annually for the dish, mainly consumed at wedding banquets. 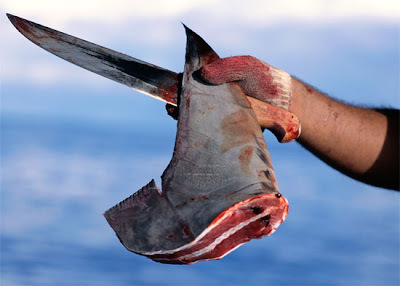 Conducted between 2000-2008, a Pew Environment Group study found that Taiwan was responsible for 5.8% of the world's shark catch, placing fourth internationally. In the wake of Taiwan's DEHP scandal where industrial-use plasticizer was found in several popular beverages, Premier Wu Den-Yih spoke on rebuilding Taiwan's image at the annual Food Taipei fair. Taiwan seeks to refocus its reputation as a producer of high-quality foods while it continues to investigate those responsible for the plasticizer debacle. Surprising and unsettling Taiwan's rail commuters, it was recently revealed that the Taiwan High Speed Rail (THSR) is sinking. In June, Public Construction Commission Minister Lee Hong-yuan announced that unless action was taken to correct the situation, THSR would be unusable within 10 years. The problem lies with the loss of groundwater along the THSR's elevated tracks. The groundwater is being siphoned by mostly illegal wells and the government has thusfar failed to strictly enforce the laws preventing groundwater loss. Lee Hong-yuan stated the problem can be solved by shutting down the wells. More controversially, Lee has called for limiting development alongside the THSR. 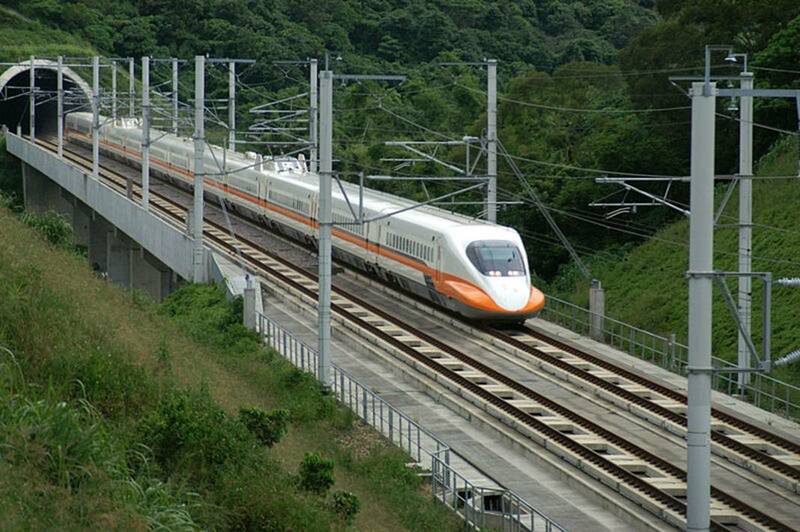 The THSR runs through many agricultural areas and development along its axis was expected to boost local economic growth. However, when faced with the total collapse of Taiwan's landmark infrastructure project, land developers may have to accept reduced profits. In an article detailing China's efforts to integrate Taiwan via cross-strait transportation connectivity, the Asia Sentinel highlights the central role of Taichung. China has invested heavily in transportation infrastructure in the Pingtan islands off Fujian province and is seeking to create a streamlined Pingtan-Taichung transportation network. China has unveiled a fleet of high-speed passenger ferries which would allow Taichung residents to reach the Mainland in a crisp two and a half hours. However, the enhanced connectivity is contingent upon Taiwanese government approval and little action is expected prior to the 2012 presidential elections. The Guardian has an interesting profile of Taiwan's water woes. The piece contrasts the high rates of water recycling employed by industrial leaders such as Taiwan Semiconductor with the low-tech, wasteful water use of Taiwan's agricultural sector. This imbalance is more striking due the disparity in economic production: Taiwan's farms consume over 70% of the nation's water supply while contributing only 1.6% to annual GDP. In Tainan, the local government has proposed and received support for the construction of a large man-made lake. With an estimated cost of NT $1.2 billion, the lake will serve as a crucial reservoir while simultaneously improving the area's ecology and urban renewal efforts. As Japan's nuclear crisis continues to make international headlines, its impact on Taiwan's political dialogue and energy policy has already been substantial. 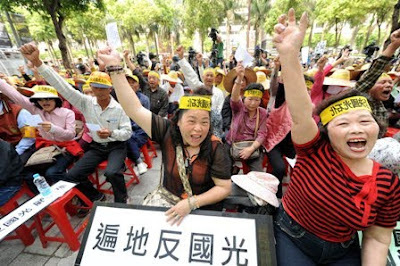 Nuclear energy, widely unpopular even before the Fukushima meltdown, figures to a major campaign issue in the 2012 Taiwanese presidential election. Democratic Progressive Party (DPP) presidential candidate Tsai Ying-wen has recently promoted a "non-nuclear homeland" (非核家園) policy which would eliminate all nuclear power in Taiwan by 2025. The plan would allow Taiwan's three existing nuclear power facilities to expire at their scheduled dates while finishing construction on the fourth plant without allowing it to become operational. Amid public protests and increased pressure from legislators, the Ma administration has scrambled to offer its own alternative path on an energy policy that lowers Taiwan's dependence on nuclear energy in favor of renewable energy sources. 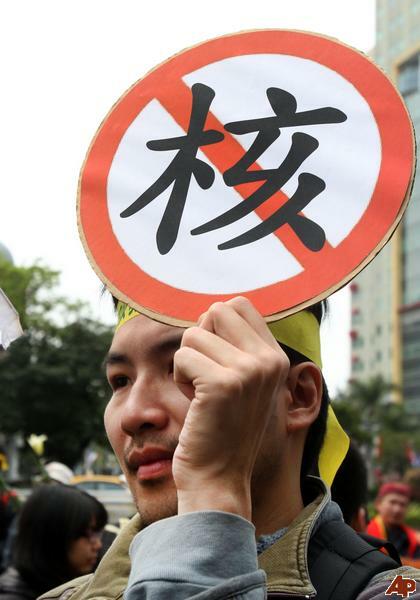 President Ma has rejected plans to completely eliminate Taiwan's reliance on nuclear energy. However, the government has already announced that it will not seek to extend the lifespan of Taiwan's first nuclear power plant beyond its scheduled expiration date in 2019. Ministry of Economic Affairs (MOEA) Minister Shih Yen-shiang has pledged to more than triple Taiwan's share of renewable energy in power generation from its current 6% to 19-20% by 2030 and release a new comprehensive energy policy by July. Under the MOEA's current 2030 forecast, nearly 50% of Taiwan's renewable energy will come from solar and offshore wind power. Experts recently called for increased deployment of small-scale wind power, especially in remote areas. The MOEA has also issued a five year plan to reduce water, electricity and oil consumption, saving an estimated 100,000+ metric tons of CO2. But the sudden calls for scaling back or eliminating Taiwan's nuclear energy sources have placed the government in a bind. Viable plans to replace the 20% of Taiwan's electricity that its six nuclear reactors generate (CO2 free no less) are scarce. In response to a suggestion to replace Taiwan's three nuclear power plants with Liquified Natural Gas (LNG), Shih estimated the cost would exceed NT $1 trillion (US $35 billion). Shifting from nuclear to LNG would also fail to address Taiwan's dependence on fossil fuel imports and increase CO2 emissions. Taiwan continues to suffer through one of its worst droughts in recent years. The Water Resources Agency (WRA) announced in early May that water rationing had commenced in Southern Taiwan. The water supply in Central Taiwan remains tight, but heavy rains in mid-May have temporarily precluded the need for second-phase water rationing. The drought has renewed attention on Taiwan's inadequate water policy. In a recent op-ed piece, Taiwan Today emphasizes that Taiwan faces a crisis of water management, not water shortage. An estimated 3/4 of Taiwan's annual rainfall (2nd highest in the world) evaporates or is lost during delivery. In addition, Taiwan lags far behind world leaders, such as Singapore, in water reclamation, treatment, and recycling. Lee Hong-yuan, Chairman of the Executive Yuan's Public Construction Commission, echoed the importance of water management and drew attention to the proper pricing of water and greater interdepartmental collaboration. Taiwan's environmental movement scored a major victory with the announced reversal of the Kuokuang Petrochemical plant in Changhua. On April 22, President Ma officially withdrew his support for the NT $600 billion (US $20 billion) project, followed by an application withdrawal from Kuokuang's corporate board five days later. Although it was estimated to generate thousands of jobs and over NT $300 billion (US $10 billion) in annual revenue, the petrochemical plant was to be developed on a large plot of wetlands and drew opposition due to its potential negative impact on water consumption, air pollution, and biodiversity conservation. The reversal is not an outright rejection of the plant as other sites in Taiwan may yet be suitable. However, the high-profile failure of the application has spurred speculation that Taiwan's petrochemical industry will increasingly look to develop its assets across the strait and in other receptive Southeast Asian nations. A recent study of two constructed wetlands near Northern Taiwan's Dahan River provided evidence to the success of Taiwan's artificial wetland development. The study conducted by Taiwan's National Science Council (NSC) demonstrated that Taiwan's man-made wetland ecosystems have attracted significant biodiversity, improved wastewater treatment, and reduced CO2 emissions. Perhaps most encouragingly, the artificial wetland ecosystems became very similar to their natural counterparts in only a short period of time. The government's push for the development of electric vehicles (EV) has moved into the public transit sector. The Environmental Protection Administration (EPA) showcased two electric bus models that it hopes will eventually be integrated into Taiwan's mass transit framework. In the private sector, Taiwanese automaker Luxgen drew praise for its premium EV sedan at the Shanghai auto show. Additionally, Chinese automaker Lifan has reached an agreement to sell 620 EVs to the Taiwanese market, the first appearance of Chinese-made EVs in Taiwan. Lifan hopes to boost sales up to 5,000 vehicles by next year. The government's resolve to carry through its low carbon homeland policy has been called into question by The China Post, but President Ma recently reaffirmed the government's pledge to develop six low-carbon cities by 2014. In May, the EPA hosted a forum inviting energy specialists from Denmark to share their low-carbon expertise in Taipei. 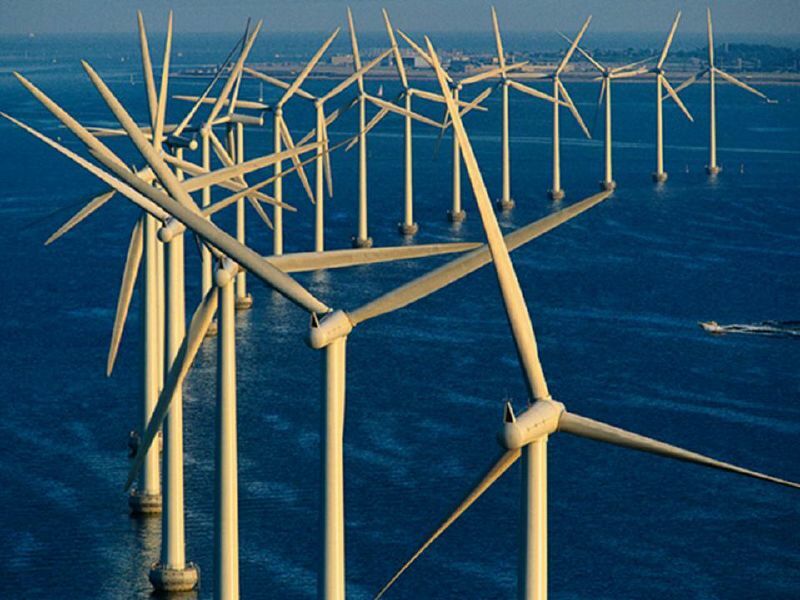 In addition to addressing topics such as energy supply, efficiency, and sustainability, the forum focused on Denmark's success in raising electricity prices without substantial political fallout. Taiwan's Council of Agriculture (COA) has announced measures to enhance Taiwan's food security. Taiwan currently produces 32% of its own food, a lower percentage than other East Asian nations such as Japan and South Korea. The government has set a goal of 40% self-sufficiency by 2020 and may increase strategic growth of food supplies overseas in a partnership with private corporations and Taiwan's remaining diplomatic allies. In May, the EPA pushed forth an initiative to attach CO2 labels to food industry products. Over 100,000 food industry members were invited to take part in the program which has been touted as both a CO2 reduction and cost-saving measure. The initiative will complement the EPA's drive to cutback waste created by Taiwan's take-out food culture. In order to reduce Taiwan's disposable garbage, such as the 1.5 billion plastic cups consumed last year, the EPA has encouraged beverage and fast food providers to give larger portions to customers using their own containers. This is an article I wrote for The City Fix. It can be found in its original form here. Due to its high rates of urbanization and population density, Taiwan is an ideal nation for electric vehicles (EV). In a country with nearly one vehicle per person, a reformation of the private transportation sector is essential to meaningfully reduce dependence on imported oil and carbon dioxide emissions. However, domestic EV market penetration has been slow and previous initiatives have demonstrated limited results. In Taiwan, a key component of a successful EV strategy must revolve around electric scooters. Scooters comprise 68 percent of Taiwan’s nearly 22 million registered motor vehicles. Taiwan is already a leading manufacturer of electric scooters, but domestic adoption has lagged far behind production. Between 1998 and 2002, Taiwan’s EPA spent NT $1.8 billion (US $60 million) on electric scooter subsidies, reducing costs to a level comparable to gasoline-powered bikes. However, the program inefficiently stimulated demand because of a lack of consumer confidence in battery reliability and insufficient charging infrastructure. After the subsidies ended, adoption rates have remained low. As of 2009, there were only an estimated 12,000 electric scooters in use. In “Launching strategy for electric vehicles: Lessons from China and Taiwan,” Dr. Chi-Jen Yang argues that subsidies in Taiwan must be accompanied by policies discouraging the use of gasoline-powered vehicles. An example of such a policy is found in China, where electric scooter use has increased rapidly. Dr. Yang hypothesizes that Chinese electric scooter growth is primarily a result of a policy loophole. Nearly every major Chinese city has banned gasoline-powered motorbikes but electric bicycles (e-bikes) and scooters are frequently classified as non-motorized transportation and thus exempt from the motorcycle prohibition. As a result, China’s electric motorcycle market is expected to grow at an annual rate of 11 percent (nearly three times the rate of gasoline-powered motorbikes), reaching 31.6 million vehicles by 2014. Undeterred by previous failures, the Taiwanese government unleashed a new program of subsidies for electric scooter consumers and producers in November 2009. A complementary initiative with potential to raise electric scooter adoption rates is the use of battery-swap stations. E-scooter riders can switch out their electric battery for a fully charged replacement, circumventing the dual issues of long charging times and a lack of charging infrastructure. City Power Co. aims to establish 3,000 such stations by 2014 and the Yulon Group has recently signed an agreement with Better Place to install its own stations. Electric scooters are also being utilized to promote eco-tourism and low-carbon development on Taiwan’s outlying islands. Taiwan’s Ministry of Transportation and Communications (MOTC) aims to replace all gasoline-powered scooters on Green Island and Xiaoliuqiu Island with electric scooters in the next four years. Although they are outnumbered by scooters by a 2:1 ratio, there are still more than 6 million cars and trucks in Taiwan. Recognizing the strategic importance of both electric car manufacturing and domestic use, the government has initiated a NT $9.7 billion (US $309.2 million) investment package in the domestic EV sector. The investment plan will first set up EV pilot projects and subsidize the purchase of municipal EV fleets through 2013. After 2013, the subsidies will be expanded to all EV consumers in a push to simultaneously raise domestic EV share and boost manufacturing. Taiwanese motor vehicle companies, such as Yulon Motors, are poised to expand their EV manufacturing capabilities. Taiwanese companies are already experienced in the production of high-quality electric components and batteries, supplying Tesla Motors and BMW. It has also been suggested that a lack of large-scale automobile manufacturing in Taiwan may be a strategic advantage as ramping up EV production will not cut into any pre-existing sales of gas-powered autos. Furthering the push for electric vehicles, two Taiwanese government-funded institutes recently announced their formal collaboration with U.S.-based Underwriter Laboratories (UL) to establish improved national standards for Taiwan’s burgeoning electric vehicle market. In terms of legislative and financial support, the Taiwanese EV market is gaining momentum. However, Taiwan still faces similar problems as it did 10 years prior in regards to a non-existant charging infrastructure and consumer distrust. Given an equally priced electric scooter or car, many Taiwanese will continue to opt for the added convenience and familiarity of gasoline-powered vehicles. Improved battery technology, EV pilot programs and battery swaps are all positive steps. But to significantly raise adoption rates of electric scooters and cars, the government may have to implement disincentives to leverage the strength of their EV policies. At the same time, the government will also need to carefully consider how to power its growing EV infrastructure in a sustainable way, since the environmental impact of EVs depends on the carbon intensity of the source of electricity. This post is an op-ed article I recently wrote for East Asia Forum. It can be accessed here. As the effects of climate change in Asia become more obvious every year, carbon emission reduction policy in the region remains largely inadequate. During the signing of the Kyoto Protocol in 1997, most of Asia’s largest greenhouse gas (GHG) emitting nations were considered developing countries and therefore not held to internationally binding agreements to reduce emissions. In the years since, several countries have considered voluntary GHG reduction targets but progress on the concrete mechanisms needed to achieve these goals has stalled in national legislatures. In lieu of national and international leadership, Asia’s cities are poised to be the catalysts driving regional and national climate change action. Asia, the world’s most populous continent, is in the midst of a monumental rural-to-urban migration shift. By 2030, the percentage of Chinese, Indian and Indonesian citizens (three of the world’s four largest countries and 40 per cent of humanity) living in cities will reach 60 per cent, 40 per cent, and 69 per cent respectively. In wealthier nations such as Japan and South Korea, the proportion of urban dwellers will approach 90 per cent. Given this massive demographic shift, individual Asian cities are positioned to exert increasing influence on policies affecting carbon emissions. Sub-national governments can fill leadership voids by setting more aggressive targets, implementing concrete GHG reduction mechanisms, and engaging other cities worldwide to promote capacity building and meaningful collaboration. A prominent example of local action preceding national policy can be found in Japan. Over the past few decades, Japan has experimented with capping carbon emissions but its national strategy for emission reduction has relied largely on voluntary measures. The DPJ government recently called for a 25 per cent reduction in GHG emissions from 1990 levels by 2020 but no firm structure such as a carbon tax or emissions trading system has emerged to actualise such an ambitious goal. Rather than wait for direction from the Diet, Tokyo city assumed leadership by pushing forth its own cap-and-trade program. Tokyo’s cap-and-trade initiative holds the distinction of being Asia’s first. It is also the world’s first and only urban cap-and-trade system. By targeting its industrial and commercial sectors, which are responsible for half of total emissions, Tokyo’s policy will be the key instrument used to achieve the city’s climate change goals of a 25 per cent reduction in GHG emissions from 2000 levels by 2020. The impact of Tokyo’s policy will be substantial. Greater Tokyo is the world’s largest metropolitan area. Home to 35 million residents and a US$1.5 trillion economy, the Greater Tokyo Area more closely resembles a medium-sized European nation. In 2007, Tokyo’s CO2 emissions totaled 56 million tons, slightly less than that produced by Portugal. In addition to reducing its own carbon footprint, Tokyo’s pioneering cap-and-trade system retains potential to be scaled up to manage all of Japan, and even neighbouring Asian countries. One country that could take cues from Tokyo is China. During its 11thFive Year Plan (2006-2010), China took serious steps to improve energy efficiency and reduce carbon intensity. Issues persist regarding China’s measurable, reportable, verifiable (MRV) emission data and the lack of an overall GHG emission reduction target. China has addressed these problems with a framework for domestic carbon trading during in its most recent Five Year Plan. Unlike Japan, China’s cities will lead the way on carbon trading and GHG reduction as a matter of deliberate design. 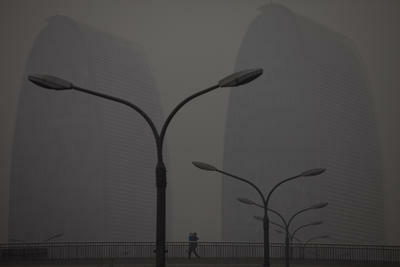 Beijing will favour city-wide and regional carbon trading schemes that precede any national cap-and-trade regime. The central government has designated eight cities and five provinces as low carbon pilot zones. Each of the 13 cities and regions is responsible for crafting individual approaches to meet its low carbon goals by 2015. Tianjin, one of the low carbon cities, inaugurated China’s domestic carbon trading market with the first sales of carbon emission credits in 2010. Just as China’s Special Economic Zones (SEZ) of the 1980s pushed forward national adoption of free market reforms, today’s low carbon pioneering cities and regions will stimulate future low carbon reforms in the world’s largest emitter. Another factor enhancing the leadership role of Asia’s cities is international city-to-city engagement. Organisations such as the World Mayor’s Council on Climate Change, C40 Cities, and ICLEI (Local Governments for Sustainability) provide a framework for developing MRV emission standards, capacity building and idea exchange. These inter-city collaborations can work in parallel to activities channeled through the United Nations. For example, the Mexico City Pact, signed by 138 mayors in 2010, will establish an international climate change registry to share emission data and improve transparency. City leaders may achieve success where national leaders fail because they are less hindered by political, economic, or geostrategic competition. The trend of cities exceeding their national carbon targets in Asia is increasingly widespread. Jakarta has announced its plan to cut emissions 30 per cent from 2009 levels by 2020. Taiwan’s three largest cities have all agreed to reduce emissions 60 per cent from 1990 levels by 2050. In India, where the national government has provided minimal leadership on carbon reduction, New Delhi has pledged to become a carbon neutral city by 2030. There is no question that Asia’s cities have assumed a leading role in shaping national climate change targets and policies. Ultimately, there must be a union of sub-national and national leadership in order to effectively transition to low carbon societies. The degree to which Asia’s metropolitan areas are able to impact regional and national climate change action will be a major factor in determining the success of the continent’s carbon emission future. As climate change dialogue enters the mainstream, many of the world's nations, corporations, and individuals have set the goal to become carbon neutral. In the short term, directly reducing carbon emissions to zero is an impossible task. Thus, a key mechanism to achieve carbon neutrality is the use of carbon dioxide offsets. In this post, I want to briefly examine carbon offsets, their applicability to urban carbon neutrality, and the role they may play in Taiwan's low carbon city plans. 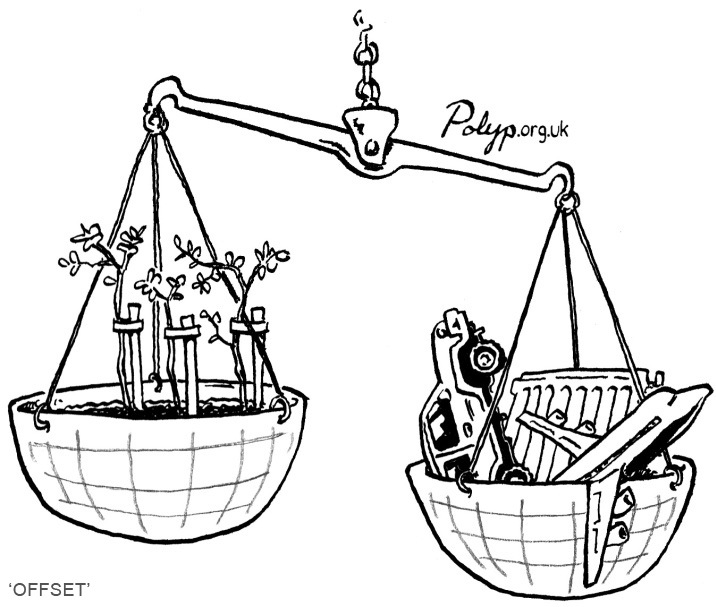 What is a Carbon Offset? 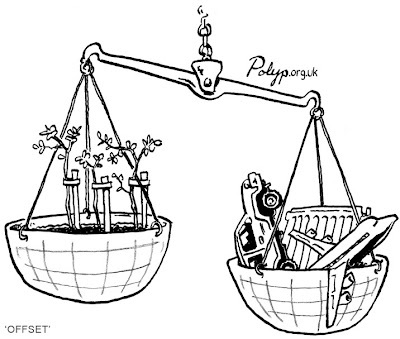 In theory, carbon offsets are a wonderfully simple concept. * Any emitter of carbon dioxide (a state, corporation, or individual) can "offset" his CO2 emissions by investing in a project that will reduce an equal amount of carbon dioxide. Thus the carbon emitter mitigates his CO2 emissions indirectly through a financial investment. Measured in tons of carbon dioxide equivalent (CO2e), carbon offsets include investments in afforestation, renewable energy, and energy efficiency. Carbon offsets require accurate estimations of carbon emissions and often take place under cap-and-trade programs (such as the European Union's Emissions Trading System). Another key aspect of carbon offsets is the notion of "additionality." In order to effectively reduce CO2, carbon offsets must direct investment towards projects that would not have otherwise been carried out, thus it must be "additional." While the idea of carbon offsets is straightforward, its implementation is complicated. There are several different standards of carbon offsets operating under a porous regulatory framework. Ensuring that a theoretical amount of carbon will not be emitted is an inherently difficult task. Planting 100 trees may reduce a designated amount CO2 when extrapolated over 20 years, but what happens if they are destroyed or harvested after 15? It is also difficult to prove additionality; there have been cases where carbon offsets are diverted towards projects already supported by other investment mechanisms. At best, critics charge carbon offsets with being inefficient and misguided attempts to reduce global CO2 emissions. At worst, offsets represent fraudulent manipulation of customers good intentions. In 2007, The New York Times reported on the Vatican's ambitious carbon offset scheme, "The Vatican Climate Forest." By planting trees in a 37 acre tract of land in Hungary's Bukk National Park, The Vatican would become the world's first carbon neutral state. 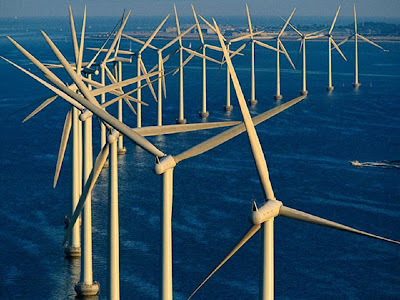 However, as revealed by The Christian Science Monitor, the project has been marred by scandal and presents a cautionary tale for those relying on carbon offsets as the lynchpin of a carbon neutrality strategy. Nearly four years after the Vatican's announcement, the future of the project remains in doubt, no trees have been planted, and no CO2 has been offset. Carbon offset industry leaders refute these charges and distance themselves from those who would defraud or mislead customers. Increasing familiarity with the pros and cons of offsets will serve to strengthen consumer confidence over time. Standards are in regulatory oversight are also improving. The British Standards Institute (BSi) has released PAS 2060, a leading carbon neutrality benchmark system. PAS 2060 clearly delineates the appropriate role of carbon offsets in carbon neutrality plans and identifies standards for certification. *For a more detailed explanation of carbon offsets, please refer to the World Resources Institute's "Bottom Line on Offsets"
Despite their controversial nature, it is evident that the carbon offsets are growing at a rapid pace. Carbon offsets have been utilized by airlines, banks, and even media conglomerates as individuals and organizations seek to reduce their carbon footprints. Carbon offsets are also being employed by municipal governments to foster low carbon or carbon neutral city development. Cities can achieve a carbon neutral status by improving energy efficiency, developing higher amounts of renewable energy, and investing in carbon offsets. San Francisco and Salt Lake Cityhave developed offset projects to mitigate emissions from municipal air travel. To leverage support for its offset initiative, San Francisco also inaugurated the Climate Passport program. Passengers at San Francisco Airport can offset their CO2 emissions by directing money toward forest conservation in Mendicino and the San Francisco Carbon Fund. While air travel has been a popular venue for carbon offsets, other cities have implemented a more tangible approach. In 2009, the city of Philadelphia created Erase Your Trace. The initiative allows Philadelphians to calculate their personal CO2 emissions and make a corresponding donation to a local non-profit conservancy. The money is then invested in planting trees across Philly's neighborhoods, keeping the offset local. In many urban low carbon strategies, offsets serve a supplementary role. While other direct avenues of carbon reduction undergo planning, offsets can immediately reduce a city's carbon footprint. In Sydney, the city has shifted resources from carbon offsets to local renewable energy deployment. Once Sydney formulated its own low carbon investment plan, carbon offsets were rebalanced and reduced to reflect its changing priorities. 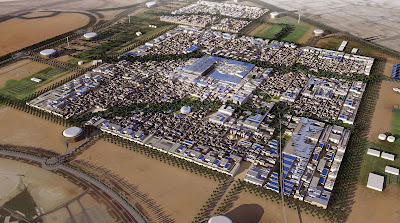 Moreover, carbon offsets can be utilized to promote future low carbon city development. 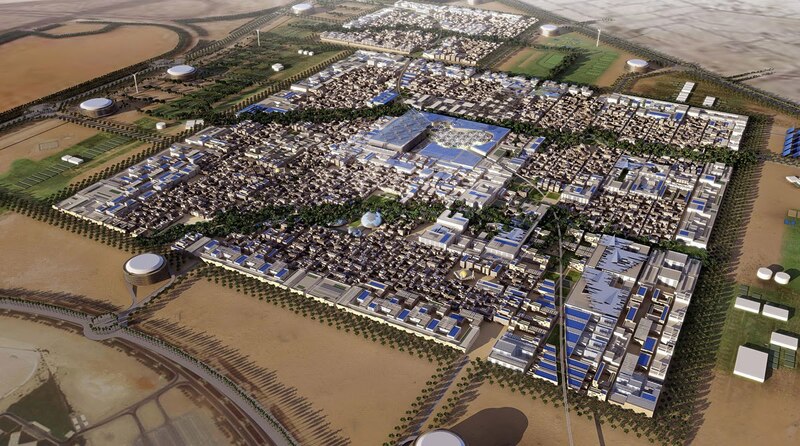 Construction costs for the Masdar Ecocity project in Abu Dhabi are partly funded by the sale of carbon offsets through the Kyoto Protocol. In Taiwan, recent years have witnessed some progress in the carbon offset market. As a precursor to Taiwan's cap-and trade policy, 266 companies responsible for the bulk of Taiwan's national CO2 emissions submitted their emissions data to the EPA in 2010. Taiwan's industries can now make carbon trades and isolated actors, such as National University of Kaohsiung, have utilized offsets to make events carbon neutral. However, widespread adoption of carbon offsets has been slow. The EPA has yet to enact a carbon trading scheme or formally endorse any particular carbon offset standard. Jules Chuang, East Asia Principal for South Pole Carbon Management, is optimistic about prospects for carbon offsets in Taiwan but recognizes current barriers. As Mr. Chuang relates, "With both supply and demand unclear, what is needed is a clearer game plan." Ambiguous signals have precluded offsets from becoming a key strategy of Taiwan's low carbon city development. There also exists a general distrust amongst Taiwanese regarding the prudence of investing in CO2 reduction projects overseas. Despite its slow start, the carbon offset market in Taiwan is poised to take off. Taiwan has stated a vague goal of becoming a low carbon country by 2020. Achieving a significant reduction in Taiwan's carbon footprint in less than ten years will necessitate the use of carbon offsets. In the near term, Taiwan's carbon offset market needs explicit direction from the government. As Taiwan waits for cap-and-trade legislation to clear its legislative hurdles, the EPA could formally adopt one or several existing carbon offset standards. EPA support for the carbon offset market would catalyze local and regional initiatives. As a part of Taiwan's low carbon communities plan, several municipal governments are in the process of applying for EPA funding for low-carbon projects. As in Sydney, Taiwanese cities could use offsets as a bridge to carbon neutrality. Moreover, Taiwanese cities should explore strategies to keep offsets reinvested in local communities. Local carbon offsets projects would familiarize Taiwan's public with the concept of offsetting and slowly build acceptance for overseas investment.